What is a SharePoint workflow? We are all familiar with flowcharts. They are just visual maps of a process. A SharePoint workflow can take that flowchart and recreate it as a digital process. In SharePoint workflow, you can create the process once, and then reuse it over and over to create a repeatable, standardized workflow. What type of processes can I automate with SharePoint workflow? SharePoint workflow provides some great templates for automating simple, serial type processes. Workflows like document approvals, feedback forms and collecting signatures are examples of basic business processes that can be “born digital” with the SharePoint business process engine. If you need advanced features or functions, you typically need to write custom code, or purchase an advanced workflow engine like K2 for SharePoint. Can end users build their own SharePoint workflows? Users with a technical background can build basic workflows in SharePoint designer, but beyond the basic, they will need to involve your organization’s development team. 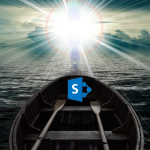 Can end users start their own SharePoint workflows? The Requirement for Complex Workflow Patterns (With No Code) – simple serial workflows can only take you so far, and organizations quickly realize that rework steps, and moving to previous steps in any process is an absolute necessity in common business flow. Having a workflow and BPM platform that integrates with SharePoint lists and libraries, and provides support for all types of workflow patterns can provide immense value, and eliminate the need for complex custom code and management of state. Wanting Reusable Access & Integration – Accessing external data in SharePoint can be challenging, and I find many companies are looking to simplify the integration with external business systems. The tiresome process of setting up Business Connectivity Services/External Lists in SharePoint, and maintaining them can be problematic. A reusable model, as seen in K2’s smartobjects, can provide agility and reduce the overall time required to configure forms, workflow and reports. The “create once” and reuse theme provides power and flexibility. 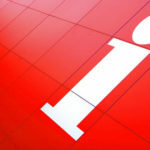 The Need to Surface Forms and Workflows Outside of SharePoint – SharePoint is a great tool, but should every form and workflow live within its user interface? More and more, we are seeing organizations that want to have business apps (forms, workflow, data and reports) that live outside of SharePoint and can stand alone. This is especially true when it comes to mobility, and the need to support various device types with web-based forms. The Need for A Broad Set of Design Tools – BPM in any organization is a broad undertaking, and usually involves a wide variety of individuals, with varying skill sets. With Business Process Design, one size does not fit all, and organizations are looking to support power users, business analysts and developers. See this post: BPA, BPM and Design. Comments? Thoughts? If you are interest in taking your SharePoint Workflow to the next level, contact us today.